There are numerous activities occuring inside factories, warehouses and manufacturing facilities. The efficiency in and around these facilities depend on the safety and organisational schemes that are implemented by management. One important element in ensuring things run smoothly in factories and similar facilities is through the utilisation of line markings. Factory line markings are an excellent solution that deliver several benefits for facilities as well as employees. 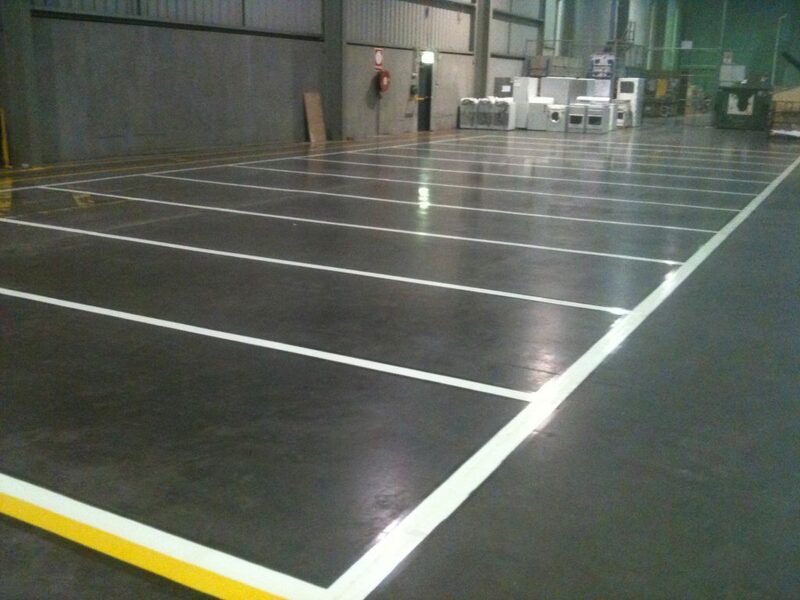 What are the benefits of installing warehouse line markings in Melbourne? Line marking companies that provide floor marking services support a safe and efficient environment for their clients. Markings on the floor typically indicate walkways to ensure the safety of employees. Floor markings may extend to car parks, too. The line markings in car parks usually indicate pathways where vehicles can move when they enter and/or exit the facility. In terms of safety, warehouse line markings in Melbourne are also being used to identify areas within a facility where finished products need to be stored. Consequently, some floor markings are also being used to help workers place wastes, toxic materials and damaged goods at the right places within a facility. Although these line markings are required across all warehouses, storage facilities and similar industrial work settings, many companies have ignored their utility and relevance altogether. Some warehouses in Melbourne may have neglected line markings and not updated the faded floor markings in their respective facilities. There are many implications to avoiding the installation of floor markings in warehouses and factories. Production is slower in facilities that lack the necessary line markings. The safety of employees in working environments that lack floor markings is greatly reduced over time. Workers are more prone to accidents and injuries without the appropriate line markings. To uphold the safety standards, it is recommended to check with line marking companies in Melbourne and request for their rates. If you want to request a quote, you may reach us on 0411 581 642 or 0404 282 984 today. Why are Melbourne Line Markings Relevant? Car Park Painting in Melbourne- Why are they Important?